Choose your pricing preference. No hidden fee, what you see is what you get. 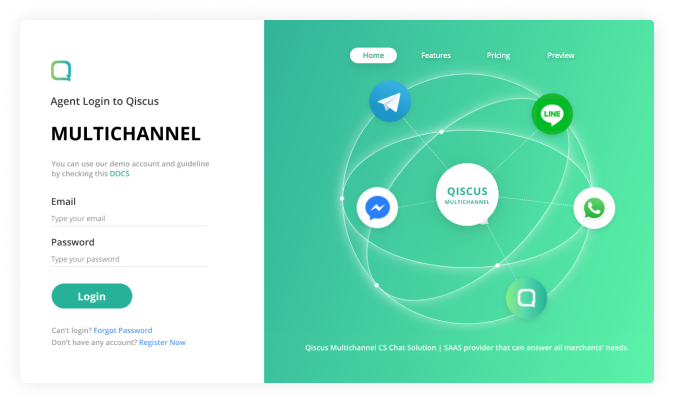 Connect your social media accounts to Qiscus Omnichannel, receive chats from the customer and reply it directly. Filter the chats by platform type or the chat status itself. 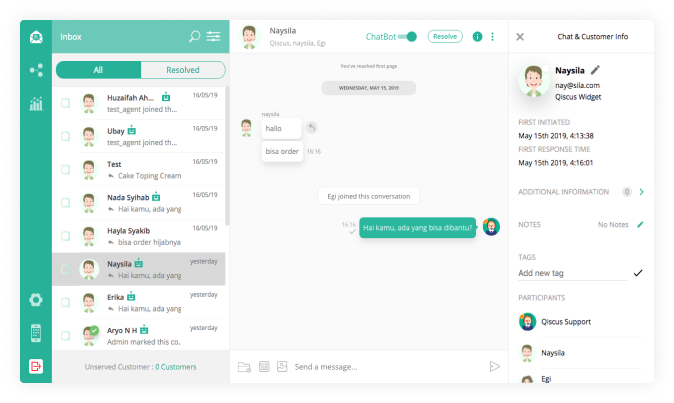 Moreover, you can mark chat list as solved or pending resolution. 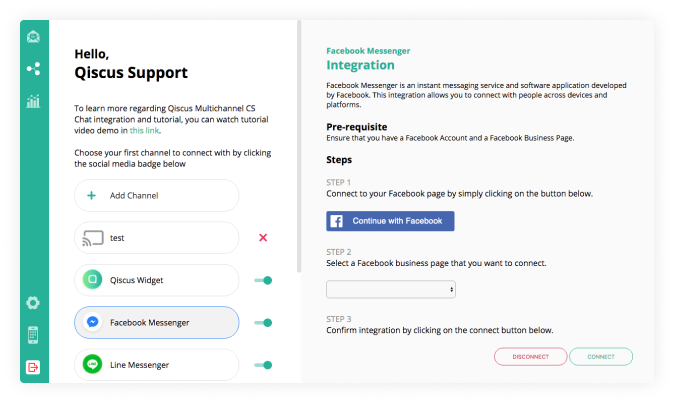 The Omnichannel Chat Solution is enhanced even further by Bot Integration. It is a chatting process managed by Artificial Intelligence (AI) directly. Omnichannel Chat Solution | SAAS provider that can answer all merchants' needs. How Qismo eases communication needs much more than before. Connect your first social media channel to Qismo. You can connect the rest later.